Idli is a steamed lentil and rice cake and traditional SouthIndian breakfast served with sambar and chutney. Idli is steamed food so its always safe and good to pack for lunch if your kid prefers breakfast items for lunch.Todays lunchbox recipe is Lemon Idli requires minimal ingredients and can be made in 5 minutes if you have cooked idlies ready.I pack idli atleast once a week either podi idli, idli with any chutney or lemon idli.This idli version is toddler-friendly; it doesn’t contain anything spices ,coriander or curry leaves. 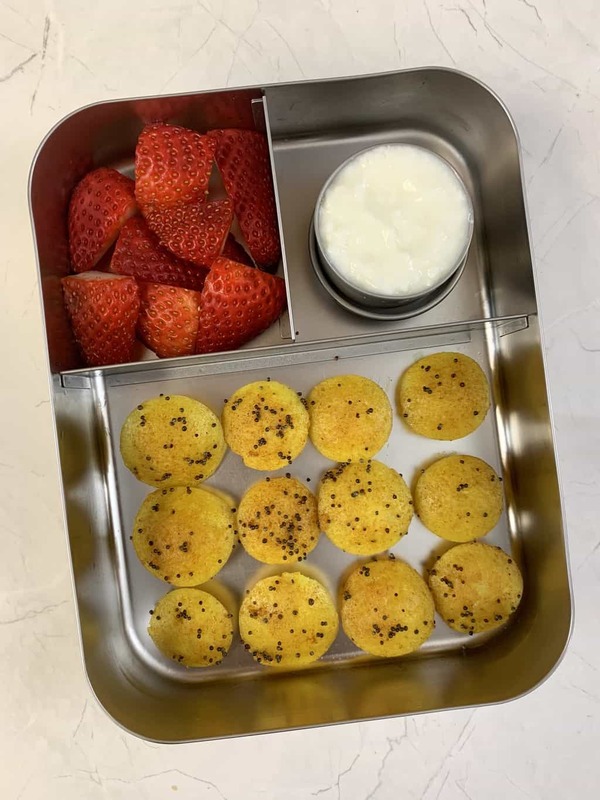 LUNCH – Lemon Idli – a toddler-friendly and kids recipe. 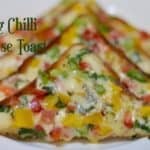 Quick and Healthy breakfast option for school going kids and toddlers. Then heat a tbsp of ghee or oil in a non-stick kadai and in low flame.I prefer ghee it gives a unique flavor. Add the mustard seeds and wait till it splutters.Add a pinch of hing (asafoetida), turmeric powder and salt. Add 12-15 mini idlies ,squeeze in the lemon and toss well in medium flame for a minute .Switch off the flame. Transfer to a serving bowl.Garnish with coriander (cilantro). 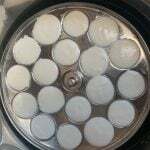 1.If you dont have mini idli stand ,then make regular sized idli and cut into then strips or cubes. 2.If you squeeze in the lemon into the oil before adding mini idli, oil may spurt . 3.You can add some onion ,saute them till they turn light brown into this recipe. 4.You can also add some cashews while sauting. 5.You can use leftover idlis .If using from fridge then microwave it or steam it or cover and cook it after adding in the masala. SNACK – Yogurt/Curd – Pack this in a separate container with leak proof lid. SNACK – Strawberry – Wash the strawberries before packing into the box. The Idly batter should be prepared the previous evening and set to ferment overnight. 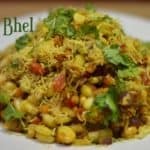 Boondi Bhel|Boondi Chaat It is a perfect Tea time snack. Quick, easy , tasty , healthy and crunchy.It can be made in less than 10 minutes. Boondi -a water droplet sized deep fried crispy Indian snack prepared from gram flour and few spices.For this recipe use masala boondi(not plain) that is available in the market.Otherwise if you use plain boondi then add spices like red chili powder, roasted cumin powder, black salt ,salt and some fried peanuts for crunchiness. 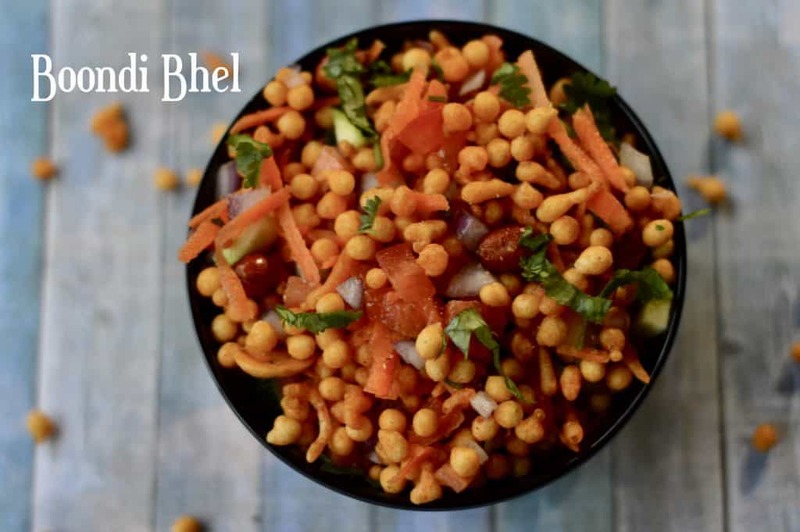 Boondi Bhel|Boondi Chaat It is a perfect Tea time snack. Quick, easy , tasty , healthy and crunchy. Combine all the ingredients in a bowl and lastly squeeze lemon juice.Mix well. Serve immediately otherwise boondi will soften. 1.You can also add 2 tbsp of raw mango if they are in season, it gives unique taste to the dish. 2.Can also saw few pomegranates to make it healthy. ♥ We LOVE to hear from you If you make this recipe, please share your food photo with hashtag #indianveggiedelight on Facebook or Instagram, so we can see it and others can enjoy it too! Thank you ♥ Subscribe to my Youtube Channel for healthy & tasty video recipes. 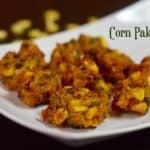 Corn Pakoda is a delicious teatime snack or Indian starter dish.Corn Pakora is an easy recipe in which deep-fried crisp corn fritters are made with chickpeas flour, sweet corn and regular Indian spices. Coarsely grind the boiled sweet corn kernels. pulse in a mixi/blender for few times. 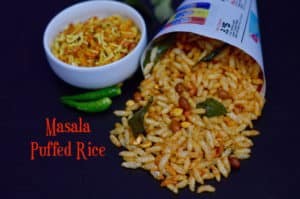 In a large bowl, add the coarsely ground sweet corn, onions, green chilies, ginger-garlic paste, curry leaves,coriander leaves,turmeric,chat masala powder,jeera,besan,rice flour and salt. Combine and mix well without adding any water.Add more besan if required. Now drop the corn pakoda mixture into the hot oil. Stir occasionally and fry on medium flame. Fry till the pakora turns crispy and golden brown color. Note:takes approximately 10-12 minutes. Drain them on kitchen tissues.finally, serve crispy corn pakoda with with masala tea and ketchup. 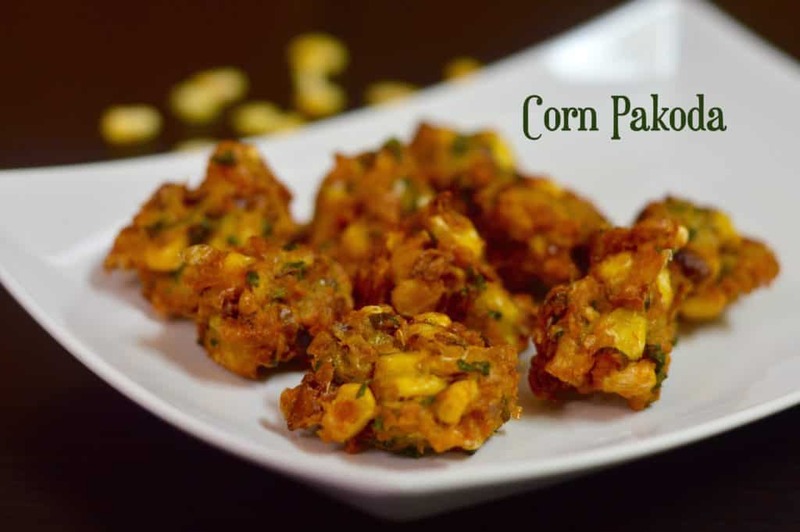 1.To make sweet corn pakoda, you can use corn on the cob or frozen corn. In a large mixing bowl take thick curd. best if you use hung curd. Add few finely chopped vegetables like carrot, cabbage, capsicum and sweet corn. Add Italian seasoning,chill flakes and pepper powder,adjust spices accordingly. 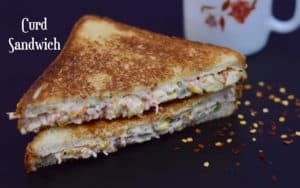 Take bread slices and spread curd mixture generously on slice of the bread. cover and press with other bread slice over it. Heat tawa or sandwich maker ,add butter. 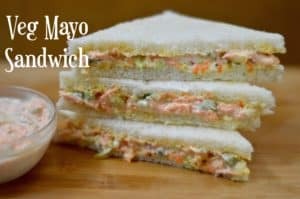 Now place the prepared sandwich and spread butter on top. 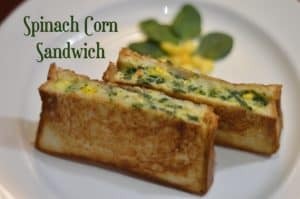 Grill or toast bread on both sides till golden brown and crisp. 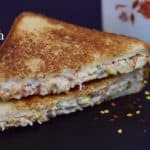 Enjoy the curd sandwich with tomato ketchup. a)Hung the curd/yogurt in the muslin or cheese cloth for 3 to 4 hrs. as required. b)Place the curd in muslin cloth lined strainer and keep in the refrigerator. 2.You can use any vegetables of your choices. 4.You can also add 2 tablespoon of mayonnaise to the curd mixture. Vegetable Rice Cutlet Recipe are rice cutlets made with boiled rice blended with mix vegetables.It serves as a great party appetizer. 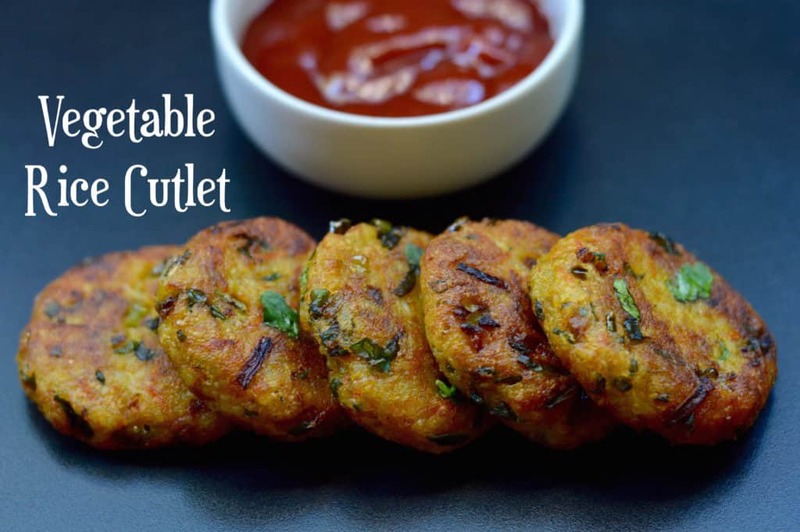 Serve Vegetables Rice Cutlet Recipe with Green chutney or ketchup. 3 tbsp cornflour (You can use roasted gram/besan flour or rice flour too). Take a mixing bowl. Add cooked rice and mash it with spoon or hand till soft. Then add all the ingredients mentioned above except oil. Mix mixture with your hand, add more corn flour if mixture is moist. (DO NOT ADD WATER). Grease your palm with a teaspoon of oil so that mixture does not stick. Now make small lemon size ball, flatten it between your hand palm and make round shaped cutlets/tikki. Use same process for remaining mixture and make more cutlets. Heat oil in a tawa. 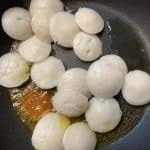 Once oil heat enough, place 4-5 tikkis in hot oil carefully and shallow fry it on medium flame till sides become golden brown. 1. 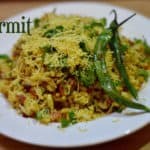 You can add grated beetroot,chopped methi leaves to make dish more healthy. 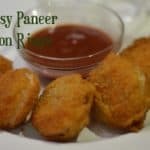 Cheesy Paneer Onion Rings is a deep fried snack prepared from rings of onions, onions are stuffed with grated mozzarella cheese mixed with grated paneer. In a large bowl add all above ingredients and Mix well to form dough consistency. Now stuff spoonful of panner cheese mixture into rings and press gently. Freeze it for 30 minutes. Make maida paste by mixing maida and water. Firstly, in a large mixing bowl take warm milk, yeast and sugar. mix well. Furthermore, add pinch of salt, garlic ,red chilli flakes and oregano. Add butter,oil and maida. start to knead the dough. Next, drizzle the dough with oil and rest for 1 hour. In a small bowl mix in butter, garlic and parsley. Spread the mayonnaise and prepared garlic butter over the dough generously. Further top with sweet corn and mozzarella cheese on half of the dough. Also season with chili flakes and oregano. Fold the dough and seal the edges. Furthermore, brush generous amount of prepared garlic butter. Also top with chili flakes and mixed herbs. Make marks over bread without cutting them fully. Bake in preheated oven at 180 degree celsius for 20-25 minutes. Cut the stuffed garlic bread into pieces and serve hot. 1. do not forget to add sugar to the yeast and warm milk mixture. sugar acts as a catalyst which kicks start the yeast fermentation process. 2. corn meal is optional but this is secret ingredient used in Dominos to make garlic bread crust crispy. Finely chop spinach,mint,onion,ginger and green chillies. Make a small ball and gently press to flatten. Keep the oil in deep frying pan. Make sure the oil hot for frying. 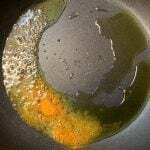 drop the mixture in oil in bunches. 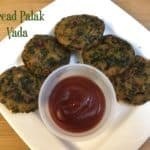 Serve Bread Palak Vada with masala tea and ketchup. In a bowl mix maida,cornflour,red chili powder,black pepper powder,italian seasoning,garlic powder & salt. Add some water to make a paste just enough to coat the paneer pieces well. 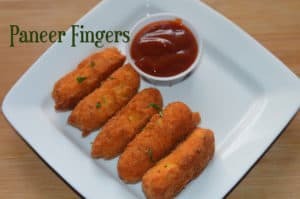 Dip paneer fingers in batter and then roll in breadcrumbs.Repeat this until paneer fingers are double breaded. Repeat this step for rest of the paneer pieces. Refrigerate coated paneer fingers for 15-20 min ,so that breadcrumbs stick well on the paneer. When oil is hot enough ,deep fry paneer fingers until golden brown on both sides.Remove & drain on a paper towel. Serve crispy & crunchy paneer fingers with tomato ketchup. 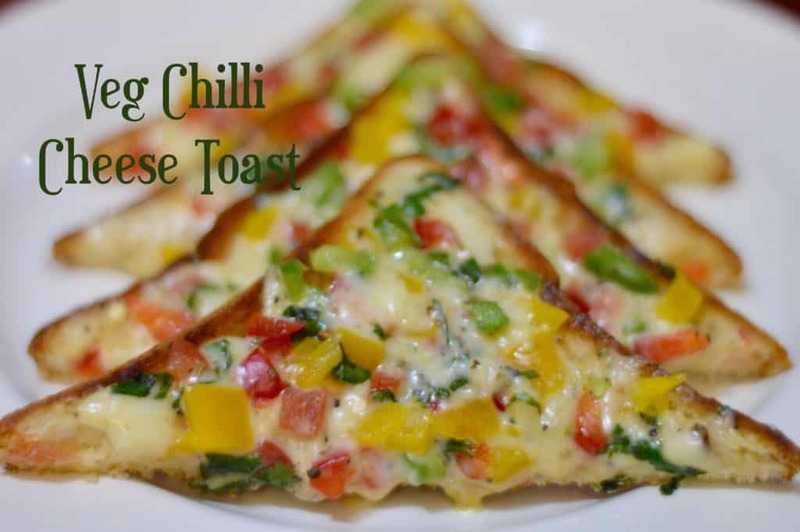 Veg Chilli cheese toast as its name suggest is a toast made from cheese,chilli and some veggies spread on top. 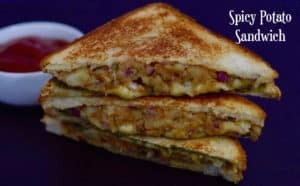 This is an Indian version of veg Chilli cheese toast. 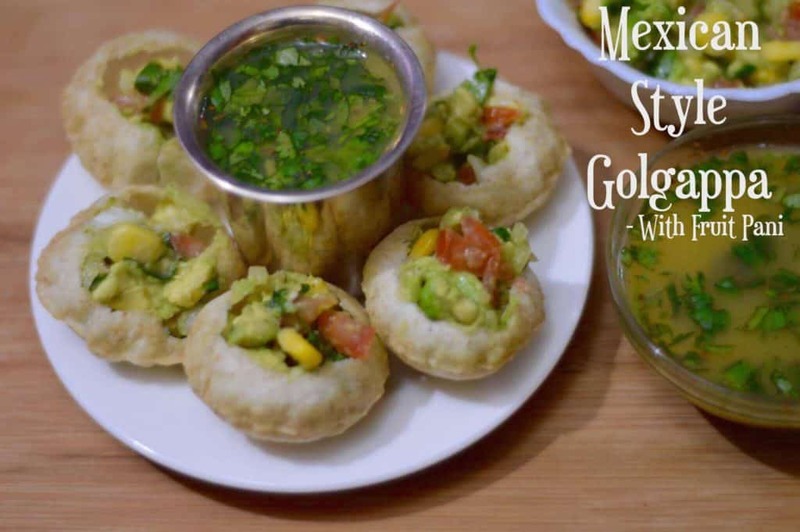 Golgappa is a common street snack in several regions of the India. take ripened avocados,cut into half and scoop the pulp into a wide bowl. crack the top of puri with a spoon. add spoonful of avocado mixture into each puri. 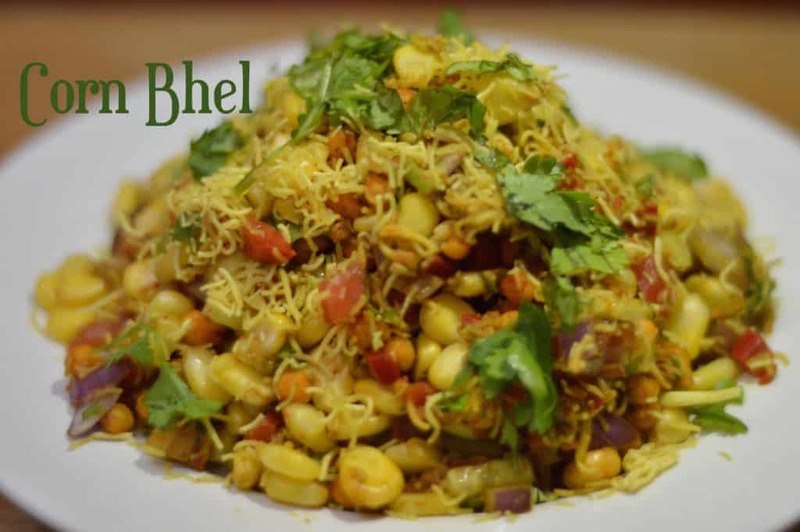 Corn Bhel is a quick and delicious snack which is a very famous Indian street food . In a large bowl add all above ingredients and Mix well. 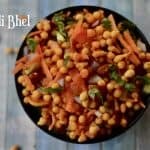 1.You can also add papdi’s,pomegranate seeds,boiled potato,tamarind chutney to corn bhel.